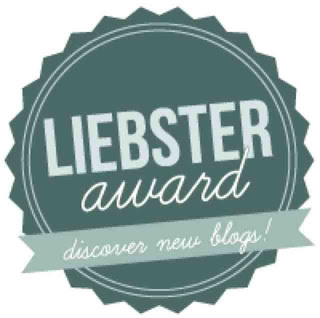 On September 18th, I was nominated by Amy at Coffee, Scarves and Running Shoes for the Liebster Award and I highly recommend clicking on her post for a great write up on effective ways to increase engagement on your blog! I might have written a similar post but she nailed it and I wrote two pretty extensive comments detailing my experiences. I found her blog some time ago on a Friday linkup and I must say that I have consistently been impressed by her deep, thoughtful and fun writing on many different and worthwhile topics. I always respect someone that takes the time to reflect on their life and has the desire to share their thoughts with the world (especially when they have a great writing style!). I guess sharing thoughts is the biggest reason why I started my blog. I was always the one who spoke up in class and am now always one to try to contribute in meetings. I don’t think I have all the answers, but feel like helping to provide substance for a productive discussion is of value. Another reason is that I do have unique and extensive experience in many areas of athletics and have been priviledged to have worked with many world and national level athletes, and I got sick of reading so much ridiculous information being put out on strength, running, nutrition and fitness in other outlets that I felt compelled to share some of what I have learned. Plus it is just so much damned fun to engage with some great people through this medium of blogging! Well I can’t tell you how cool of a feeling it was to be nominated! 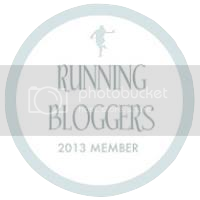 One of the things that makes it special is that you have to be nominated by another blogger and I was very grateful. It’s a peer award that gives bloggers the opportunity to recognize each other and the work we’re doing. It’s supposed to be given to up and coming bloggers with less than 200 followers… but I have to be honest when I say that I don’t really know what that means because I have never seen a specific reference to Twitter (as the way to determine followers) and no one else has access to a sites analytics… so a blogger could have 5000 loyal readers but not engage much on Twitter. Plus there is no way to measure how many readers have subscribed to your RSS feed and etc. So I am taking that requirement loosely.. (I don’t think I am hurting the spirit of this award by doing that) for me it is simply a way to recognize fellow bloggers work and thereby give them some opportunity to increase readership (regardless of how popular they currently are or not). 1. If there was a movie made based on your life, who would play you and why? This took a bit of thought, but I would have to say I would like two actors to play me and for different reasons. The first would be Chrisopher (who I just read is actually Ronald 🙂 I like the stage name he picked) Walken and there are a couple of reasons. One reason is that he is an amazingly powerful and sincere actor. He has played so many amazing parts but he said something some years ago in an interview on The Actors Studio that has stuck with me with me for some reason.. he said “when I read a script, I ignore the punctuation.” It explains a lot about how he speaks (think about it the next time you see him in a film) and I also think is a good way to live life…. punctuation tells you how to interpret what is written… I think we should interpret things ourselves. You will notice I use a lot of “….” in my writing. This is my way of simply pausing and moving on to the next thought without trying to enforce a way to interpret what I wrote on my readers (of course I also do use some punctuation… it is hard to get around it entirely when writing). Wow.. yeah.. haha. I think you could learn a lot about a person by finding out their Google habits right? I mean in some ways it could almost be considered an extension of our personality I guess. To be honest though.. lately I have been working on trying to find ways to linkup my strength specific and whisky specific blog posts with other bloggers. I am not finding them, so I am working on trying to set up those linkups myself. I am planning on purchasing a domain name for each and working on getting some good linkups for those blog topics going. 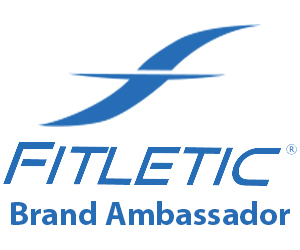 I am able to find (and love using) fitness and running linkups, but I also post about other topics and I want to connect with other bloggers on those topics. I will write two things. I am a huge fan of good ice cream. I like to think of it as a recovery tool, because otherwise why would my body crave it so much! There are times when I wake up in the middle of the night and feel kind of dehydrated and I will go to the freezer and just start eating ice cream… it really helps me 🙂 and to be honest I don’t feel guilty about it… ha! That the way that the majority of professional athletes (in most sports) train is not the way we should train unless you are extremely genetically gifted. Most of us need more recovery than an elite athletes needs because of their genetics and also the fact that they get to just be an athlete. Running 6 – 7 days a week or training the powerlifts twice a week or doing back to back 20 milers or racing every weekend is something that most of us shouldn’t do. Learning what works and engenders the greatest training response while allowing adequate recovery is a personal journey (but one that we can use others experiences to help us on) and we shouldn’t follow anything dogmatically because some writer or some new training fad tells us to. I have actually known this for quite a while, but I didn’t know it in the beginning. Without a doubt the fact that I was instrumental in brining a sport to the United States in the late 1990’s. Playing a big part in brining the sport of Strongman to the US, helping to generate interest in it and bringing in new athletes (like former Worlds Strongest Man Phil Pfister) to the sport, managing scores of people to put on a two day show and getting it seen in 105 countries is something that I am very proud of and I think will be hard to top. I will be remastering the shows very soon. More recently, becoming the first person to run the Death Valley Marathon barefoot felt like a really neat accomplishment. I am a very big Three Stooges fan and have every one of their shorts on DVD. It has been written that “You can divide people into two categories… those that get the Three Stooges and there are those that don’t”. I’m generally quite happy (everybody gets some tough periods but most of those have made me stronger) but having a cool $2,000,000 in the bank would be great. I mean who wouldn’t take that? That is easy… Tron (the original) for sure! When that movie came out it inspired a generation that computers and technology were cool and that they had the potential to revolutionize everything (and they are doing that aren’t they?). Though at the same time there are times when I definitely feel like it would nice to “get off the grid” and detach from all technology as well. 9. What is something you’ve never done, but would like to try? Going into space. I am serious. One regret I will have at the end of my life (if it doesn’t come to realization) is not getting to see more of the Universe and other planets. I am a huge fan of Carl Sagan and the image and text he wrote called “Pale Blue Dot” resonates with me so strongly. We think very “earth centric” but in the cosmic scheme of things, we are just a pale blue dot. The Pale Blue Dot is a photograph of planet Earth taken in 1990 by the Voyager 1 spaceprobe from a record distance of about 6 billion kilometers (3.7 billion miles) from Earth, as part of the solar system Family Portrait series of images. In the photograph, Earth is shown as a tiny dot (0.12 pixel in size) against the vastness of space. 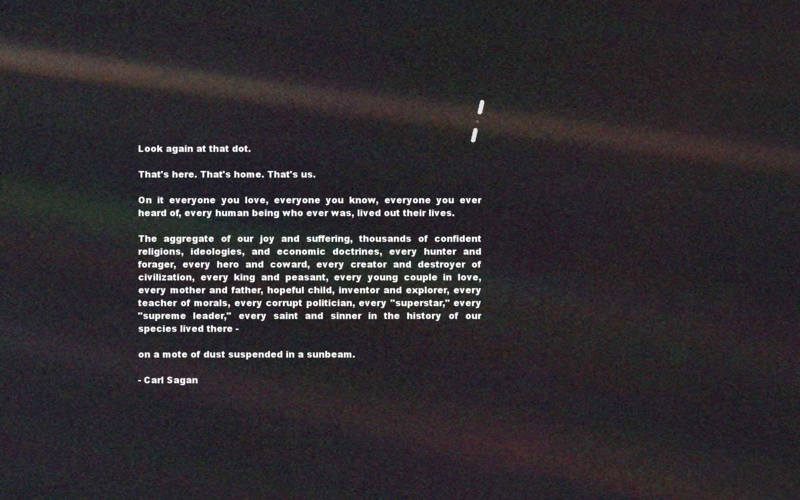 The Voyager 1 spacecraft, which had completed its primary mission and was leaving the Solar System, was commanded by NASA to turn its camera around and to take a photograph of Earth across a great expanse of space, at the request of Carl Sagan. Click on the image below to read his profound words. I love Iceland. I just absolutely love it and have been twice (once to vist Worlds Strongest Man Magnus ver Magnusson). It is just amazingly beautiful and the people are so warm, strong and.. beautiful 🙂 It is really hard to describe how it is so wonderful to someone that hasn’t been there, but I am a big fan of all 5 Scandinavian countries and Iceland is the place where I want to go back to the most. Because it is the “smokeless” captial (no smokestacks to generate power) and the weather systems of both the America’s and Europe bypass it, when you get off of the plane.. it is like you are breathing fresh air for the first time. I highly recommend the place. You must pick 11 bloggers, each with under 200 subscribers (or something like that), to be nominated for the award. This entry was posted in General Training Topics on October 5, 2013 by Chris M.